For your Brittany Holidays, you can escape to the islands and discover the beauty of a wild countryside. These vacation havens are available in all seasons and easily accessible from many ports in Britain. The interior also boasts enchanting corners with connections to Britain. Some sites are even bathed in an aura of fantastic legends and stories (Brocliande with the legend of King Arthur and the Knights of the Round Table, the Monts d’Arre people of goblins and other malicious elves …). These legends typically Breton will accompany you, throughout your Brittany Holidays, as you cannot escape them! 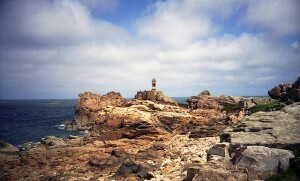 Brittany has more than a third of the 148 French lighthouses (including 23 in Finistère). The discovery of these impressive buildings is a must if you are interested in Breton maritime heritage. Of these, 7 are classified historic monument (MH), and 5 are among the few remaining lighthouse still guarded by towers (Sein Crac’h, Belle Ile en Mer et Frehel). These lighthouses, just as the Breton legends follow you, accompany you around the coast during your Brittany Holidays stay.